The P.R.E. Andalusian stallion, Deco X, has been added to the list of nominated Spanish-Norman Foundation Sires. UPDATE: Spanish-Norman Foundation Sires Directory The listing for the Andalusian stallion, DANZA del RICO, has been updated. He is now located in Indiana. Last month, it was my pleasure to welcome to Connecticut Spanish-Norman breeder, Isabella Neukirchen-John, from Germany. I was truly honored that Isabella had planned an overnight stay at the historic Curtis House Inn here in Woodbury, CT. 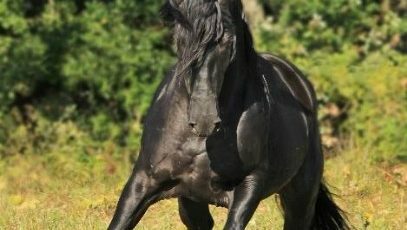 The British Percheron Horse Society has been added to the list of approved registries for the dam of a first generation Spanish-Norman horse. CLICK HERE for detailed information about Registration Requirements and Guidelines. The Andalusian stallion, TESORO A, has been added to the list of nominated Spanish-Norman Foundation Sires. FOR SALE: Registered Spanish-Norman mare, ‘Rivendels Ravinia’. Located in Colorado. Contact: Kris Garrett. We are now offering a way to help put buyers and sellers in touch with each other!… If you have a Spanish-Norman for sale we will happily provide a link to your online ad on our website. 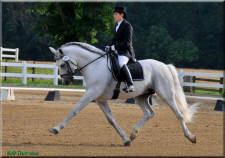 The Andalusian stallion, DAKOTA ARGENTO, has been added to the list of nominated Spanish-Norman Foundation Sires. The Andalusian stallion, ‘RODOLFO’ has been added to the list of nominated Spanish-Norman Foundation Sires. Spanish-Norman awards at US Dressage Finals! The US Dressage Finals competition will be held November 5-8, 2015 at the Kentucky Horse Park in Lexington…. The Spanish-Norman Registry is a participating organization giving Spanish-Norman owners an opportunity to participate at this prestigious event. A Tribute to Romantico H.H.F. Tribute to Spanish-Norman breed Ambassador, Romantico H.H.F… Fond memories of a special horse that inspired, supported and comforted his proud owner from the moment he was born. You can now download any form you need from our new website! Registration, transfer of ownership and stallion nomination fees can be paid online too! Please join us in supporting Spanish-Norman owner and breeder, Scarlett Lewis, in moving forward and choosing to take the path of love and forgiveness in the wake of losing her son, Jesse, in the Sandy Hook Elementary School tragedy. The Spanish-Norman Registry has again affiliated with USDF for the year 2015 in the All Breeds Award Program. Our new website will feature a Foundation Sires business directory that will include the stallion’s name and location, owner’s contact info, website and small image. If you are a Foundation Sire owner and would like to take advantage of this new service,..